For my tenth birthday I received a book of Bruegel artwork and a copy of THE MACABRE READER (an anthology that included “The Thing on the Doorstep” by H. P. Lovecraft). 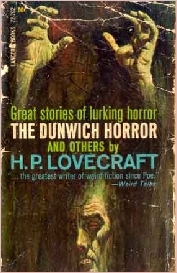 Two Walt Disney films inspired me—“Darby O’Gill and the Little People” and the Night on Bald Mountain sequence in “Fantasia.” In 1964, for my fifteen birthday, I purchased a paperback of THE DUNWICH HORROR by H. P. Lovecraft. 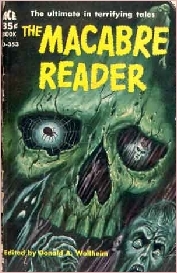 This purchase inspired me to contact Arkham House, and I placed orders for books and corresponded with August Derleth. Thereafter, I began to draw scenes from the Cthulhu Mythos. Bruegel, Disney and Lovecraft defined my sensibility. Their influence is incalculable.